Exclusive formula creates a urinary environment less favourable for the formation of urinary crystals. Proven Results: x2 more effective in 10 days. Helps control the balance of mineral levels as well as reducing urinary pH. Leads to less concentrated urine, which helps promote a healthy urinary system. 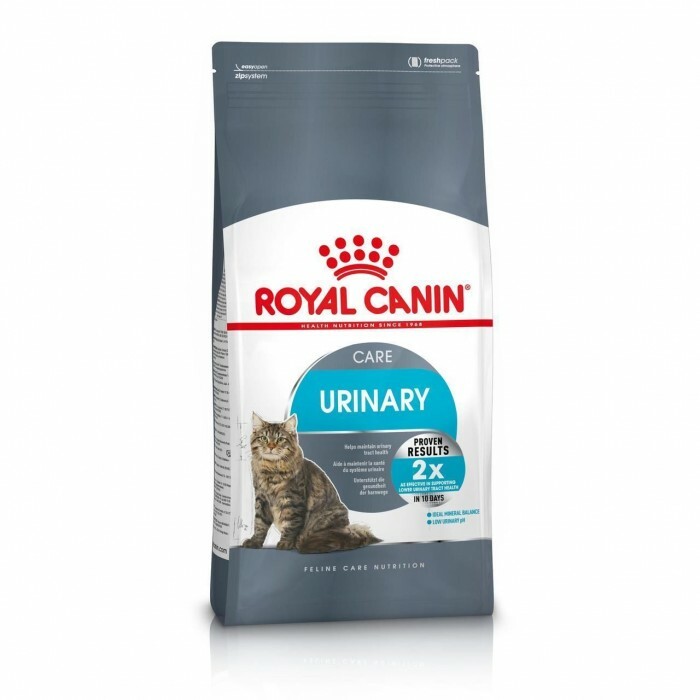 Royal Canin Urinary Care dry food is a complete food for cats that tend to suffer from struvite or oxalate urinary stones. Its special formula is adapted to meet the cat’s exact nutritional needs and helps to give the cat a balanced intake of minerals and reduce the ph-value of the urine. This can make the urinary tract less susceptible to recurring illnesses. 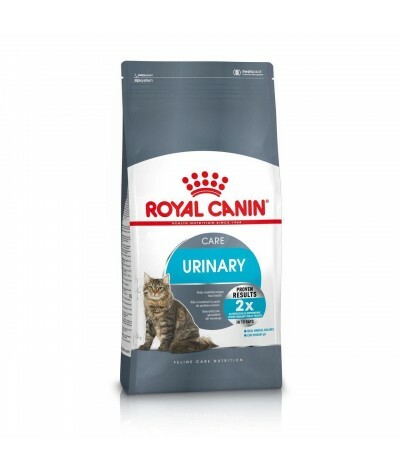 Complete food for adult cats to support good urinary health and reduce the risk of recurring bladder stones and associated illnesses, with balanced minerals to create a low ph-value. COMPOSITION: dehydrated poultry protein, maize, vegetable protein isolate*, rice, wheat, animal fats, vegetable fibres, maize gluten, hydrolysed animal proteins, maize flour, minerals, beet pulp, yeasts, soya oil, fish oil, marigold extract (source of lutein).ADDITIVES (per kg): Nutritional additives: Vitamin A: 19500 IU, Vitamin D3: 700 IU, E1 (Iron): 37 mg, E2 (Iodine): 3.7 mg, E4 (Copper): 11 mg, E5 (Manganese): 48 mg, E6 (Zinc): 145 mg, E8 (Selenium): 0.06 mg - Preservatives - Antioxidants.ANALYTICAL CONSTITUENTS: Protein: 33% - Fat content: 13% - Crude ash: 6.6% - Crude fibres: 5%.*L.I.P. : Protein selected for its very high assimilation.